Thanks to the great work of NAMI Burlington County’s fierce advocates! 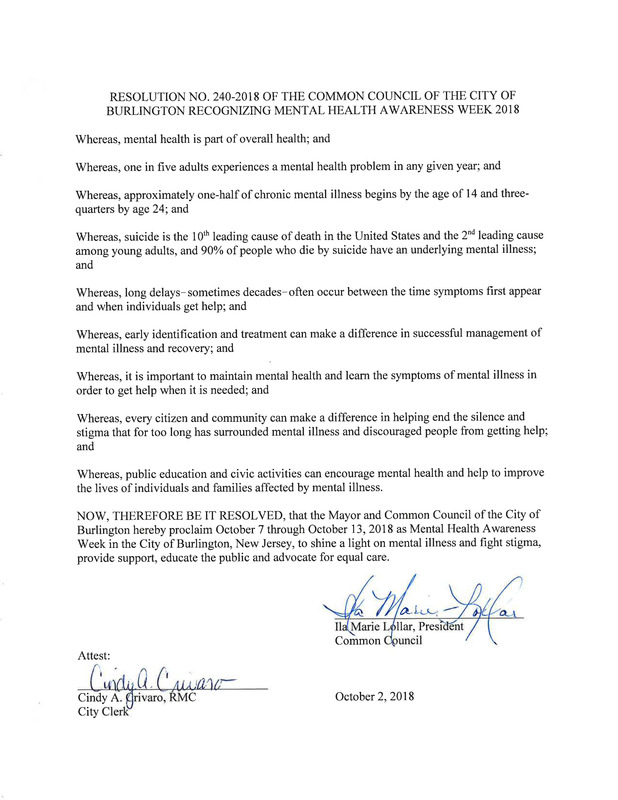 The Mayor and Common Council of the City of Burlington proclaim October 7 through October 13, 2018 as Mental Health Awareness Week, to shine a light on mental illness and fight stigma, provide support, educate the public and advocate for equal care. See the proclamation. NAMI Burlington County was invited to participate in the Seneca High School Corn Maze that was arranged by the students of the Psychology Club on Wednesday evening October 24th. The chilly activity was enjoyed by the students and, while there, they learned about mental health and the role that NAMI can have in managing mental illness. Youth Adult Society is a social group that offers recreational activities to young adults aged 21 to 35 who have mental health concerns. This group evolved to provide opportunities for social interaction. Activities which are selected by its members include movies, picnics, pizza parties theatrical and sports events, etc. Transportation will be provided by the participants and their families. The activities of this group are recreational, but beyond that Youth Adult Society is a place where you will find acceptance and friendship. 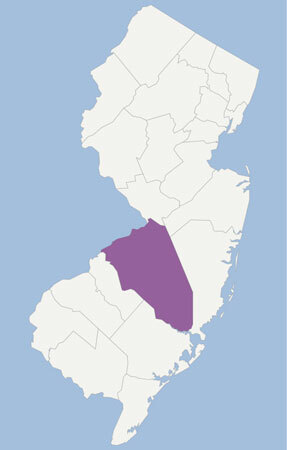 For more information about this group, contact Winifred at 609-265-0746 or SJsocietyofadults@gmail.com. Download the Young Adult Society pdf here.